James B. Lieber, Esquire | Pittsburgh Attorneys Lieber Hammer Huber and Paul, P.C. Jim Lieber and his wife, Margie Hammer, founded this firm then known as Lieber & Hammer in 1981. Since that time, he has represented over a thousand individual and business clients in a practice focused on employment discrimination, commercial litigation, civil rights, and constitutional law. Mr. Lieber is a 1971 graduate of Princeton University, where he headed the Student Volunteer Tutoring Program at Trenton State Prison, was nominated to Phi Beta Kappa, received prizes for writing and research, was named a Woodrow Wilson Scholar, and was a Rhodes Scholarship Finalist. At Princeton, his principle influences were the historians Martin Duberman and Arno Mayer and the writer Anthony Burgess. In 1972-1973, he served as an organizer with the United Farmworkers Union (UFW AFL-CIO) in California. Mr. Lieber graduated from the University of Pennsylvania Law School in 1975. At Penn, his legal and writing careers were impacted by studying under pioneering Professors David Rudovsky and Martha Field in civil rights and discrimination law, and Professor Marvin Wolfgang, then the nation’s leading criminologist. Mr. Lieber also had the rare privilege of giving a course for credit to fellow students and received the Law Students Civil Rights and Research Council award. Following law school, Mr. Lieber served as a Staff Attorney at Community Legal Services (CLS) of Philadelphia and a Trial Attorney at the Bucks County (PA) Public Defender’s Office. While at Lieber & Hammer, Mr. Lieber also served as the Executive Director of the American Civil Liberties Union in Pittsburgh and as an Adjunct Professor at the University of Pittsburgh Law School, where he taught constitutional subjects. 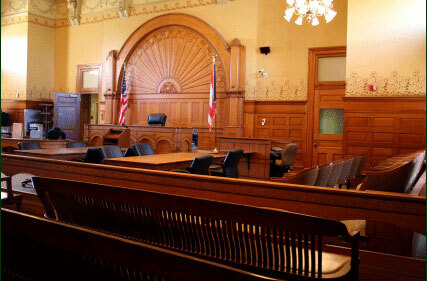 Mr. Lieber’s clients have prevailed at every level of the state and federal court systems, from magistrate and trial courts, to courts of appeal, and supreme courts. He has represented individuals and businesses in a host of complex claims, including anti-trust, fraud, construction defects, discrimination, retaliation, False Claims Act/Qui Tam, bid-rigging, false advertising, racketeering, scientific misconduct, academic freedom, freedom of speech, freedom of religion, due process, bad faith, professional negligence, habeas corpus, and homicide. Following successful verdicts or settlements, many of Mr. Lieber’s clients also have received their attorney’s fees and costs from their opponents. Mr. Lieber twice has appeared before the United States Supreme Court, successfully arguing Fiore v. White in 1999. Justice Ruth Bader Ginsburg utilized this case as a basis for her dissent in Bush v. Gore. Mr. Lieber also has conducted class action litigation on age, race, due process, sexual orientation, and securities issues. In 2003, Mr. Lieber was elected to the Academy of Trial Lawyers of Allegheny County, the region’s pre-eminent organization of civil litigation attorneys. Mr. Lieber’s service to the profession has included membership on the Pennsylvania Supreme Court Criminal Procedural Rules Committee, the Allegheny County Bar Association Judicial Nominating Committee, and the Special Panel of the Bench and Bar of the Federal District Court for the Western District of Pennsylvania on the allocation of statutory attorney’s fees. A frequent lecturer on legal topics and legal educator to attorneys, his subjects have included employment law, civil rights, environmental law, motions practice, evidence, and cross-examination. Mr. Lieber has been named a Pennsylvania Super Lawyer in the area of employment law and a Legal Network Top Lawyer in Pennsylvania. Mr. Lieber was listed in Contemporary Authors in 2017 and received a Who’s Who Lifetime Achievement Award in 2018. Mr. Lieber can be reached by e-mail at this address.